No, Star Citizen's still not releasing in 2019. That part is key: Most excited about. That means you’ll find some obvious picks here, like Metro Exodus. You’ll also find some smaller, more niche picks like Disco Elysium, Heaven's Vault, and The Occupation. And it means this is not a comprehensive list. It’s just our favorites. The Occupation was supposed to release in October. Now it's supposed to release in February. I don't think anyone even announced a delay—it just slipped into the future as if the original date never existed, the perfect way to delay a game that's about a corrupt government cracking down on civil liberties to keep citizens safe. Delay or no, The Occupation's still one of my most anticipated games for 2019. The game takes place over four real-time hours, with characters and events sticking to a strict schedule. You play a journalist, trying to uncover the facts behind a deadly crime—but you need to make decisions about what leads to pursue and how to follow them. Do you meet with the government official you have an appointment with? Or perhaps blow them off and root through a colleague's empty office? I've played a lot of so-called "immersive sims" over the years, but none as ambitious as The Occupation. I hope the delay gave the team enough time to fine-tune the details. But I loved the shooting in Mass Effect: Andromeda and not much else, so...well, I hope the story’s decent. Fingers crossed. We don't know much about Mortal Kombat XI yet. Announced in December at The Game Awards, all we've seen is a single CGI trailer of Dark Raiden fighting two Scorpions. That means uh...well, Dark Raiden and Scorpion are in the game. It also seems like the character customization elements of Injustice 2 will make it over to this latest Mortal Kombat. But what will the campaign look like? That's what I'm most curious to see. The seamless cinematic-driven campaigns of Mortal Kombat IX andX were great, but after four games (including the Injustices) it seems like it might be time for a shakeup. Rumors claim Mortal Kombat XI will include a full-on adventure mode with a map to explore, a la 2005's Shaolin Monks, but we'll see. I still find it hard to believe Bethesda’s funding Rage 2 ($60 on Amazon), a sequel to one of the all-time blandest games, but...well, Prey was great. Maybe another of Bethesda’s weird bets will pay off. 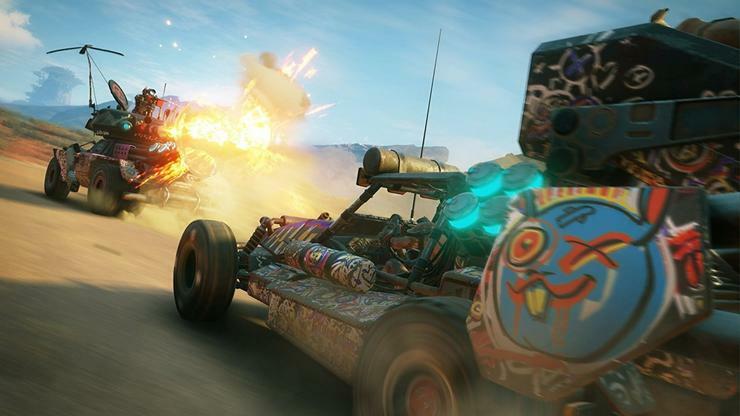 After all, Rage 2 mashes up id’s shooting with Avalanche’s Mad Max driving, which certainly sounds like a winning combination. The question is whether the story can pull its weight as well. Lest we forget, the first Rage played pretty well. It was just boring as hell. Rage 2 seems to be shifting towards a quirkier Borderlands-lite style of humor, which might help propel the action along...or might get old quick. It’s hard to tell. Next page: More PC games we're excited for in 2019.